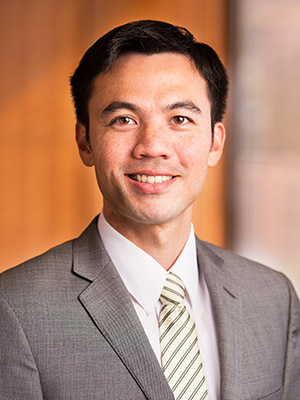 Adam Kenji Richards represents clients on intellectual property, complex litigation, and antitrust matters. Mr. Richards graduated from Stanford Law School and from Stanford University with a degree in electrical engineering and is a registered patent attorney admitted to practice before the United States Patent and Trademark Office. Mr. Richards helps start-ups and established companies protect and enforce their rights in their inventions, brands, and creative expressions. He represents clients in filing and defending lawsuits involving patents, trademarks, copyrights, and trade secrets, in opposition and cancellation proceedings before the Trademark Trial & Appeal Board, and in inter partes review proceedings before the Patent Trial & Appeal Board. He prepares and prosecutes patent applications – with an emphasis on inventions in the areas of software, hardware, networks, wireless communications, image and signal processing, and analog and digital circuits – and advises clients on patent portfolio strategy. He files and prosecutes trademark applications and advises clients on brand management, protection, enforcement, and infringement allegations. He also advises and assists clients with copyright registration, enforcement, and infringement allegations. Mr. Richards represents local, national, and global companies in filing and defending lawsuits and appeals in federal and state courts. He has experience in the areas of intellectual property, class actions, business and corporate disputes, antitrust, false advertising, and civil RICO. Mr. Richards served as a law clerk first in the U.S. District Court for the Northern District of California and then on the U.S. Court of Appeals for the Tenth Circuit. He is admitted to practice in Utah and California and before the Tenth Circuit. Mr. Richards counsels and assists clients with antitrust compliance, claim evaluation, and litigation. He has experience with issues and claims arising under Sections 1 and 2 of the Sherman Act and under the Robinson-Patman Act. During law school, he was an extern at the Antitrust Division of the United States Department of Justice in San Francisco, California where he assisted on civil and criminal matters. Mr. Richards has been selected for inclusion in Mountain States Super Lawyers as a Rising Star (2017-2018) in the category of Business Litigation. Domo, Inc. v. Grow, Inc., 2018 WL 2172937 (D. Utah May 10, 2018) (Defended start up business intelligence software company against claims of patent and trade dress infringement brought by larger competitor and obtained dismissal of all claims; patent infringement claim dismissed because patent was directed to an abstract idea). Represented growing outdoor clothing company in federal court trademark infringement lawsuits asserting company’s house marks and a product mark and in TTAB proceedings opposing applications to register confusingly similar marks, including successful opposition of application for mark to be used with bicycles. Defended industry-leading automotive custom tuning company in claims of copyright infringement and trade secret theft brought by a competitor based on client’s alleged use of plaintiff’s trade secret software and sale of products allegedly containing plaintiff’s copyrighted software code. Represented sales acceleration platform provider in asserting patent infringement claims against competitor’s products and in defending asserted patents in an inter partes review proceeding before the PTAB. Represented publicly traded business leadership and management training company in asserting claims of copyright infringement of books and training materials based on defendant’s alleged use of copyrighted materials in defendant’s internal training materials. Represented clients in appeals to the Federal Circuit addressing patent infringement and invalidity issues. Draft and prosecute patents on behalf of Fortune 100 technology company in the areas of software, hardware, networks, and wireless communications. Drafted and prosecuted patents in the areas of software, medical imaging, image and signal processing, and barcode reading. Cohen v. Wrapsol Acquisition, LLC, 177 F. Supp. 3d 1373 (D. Utah 2016) (Defended cell phone accessories company against claims alleging breach of an asset purchase agreement, obtaining dismissal of majority of plaintiff’s claims on a motion to dismiss). Represented major trucking company in nationwide class action lawsuit brought in federal court by former independent contractor drivers asserting claims of fraud and breach of state consumer-protection statutes; obtained dismissal of civil RICO claims. Represented digital product design and development company in asserting claims for breach of contract against customer in dispute over client’s services and work product. Represented mortgage company in AAA arbitration in contract dispute with software development company regarding custom software provided to the client. Tristar Risk Mgmt. v. Am. Liberty Ins. Co., 2017 WL 3835684 (D. Utah Aug. 31, 2017) (Defended insurance company in breach-of-contract case brought by client’s claim management company; obtained summary judgment on all claims). Defended indoor fitness bicycle designer and manufacturer in lawsuit in dispute regarding supply agreements with exercise equipment manufacturer. Represented client pro bono in successfully setting aside a default paternity judgment from over 15 years prior. Defended soft pretzel chain in federal court against section 1 and 2 claims brought by competitor; successfully obtained dismissal of all claims on a motion to dismiss. Defended cement manufacturer and distributor in claims brought under Robinson-Patman Act. Evaluated potential Section 1 and 2 claims in the medical device, healthcare, waste disposal, and pool supply industries.